QWIC App - QWIC - Steuern Sie Ihr E-Bike mit Hilfe Ihres Smartphones! Now you can control the support levels of our QWIC e-bikes (with Brose mid drive and QWIC Bluetooth display) easily via smartphone. Thanks to the free QWIC app for both Android and iOS, all important information can be accessed directly from your smartphone. It displays the number of kilometers covered, general bike settings, remaining range in kilometers and time, battery charge and even bike navigation. In short: the phone becomes the bike display! Our QWIC App can be used on the following QWIC Premium Series E-Bikes: MN380 – MN330 – MA8. In addition, the function is also available for the Performance MN380. Access extra technical information while cycling. You can set all functions you’d like to see on the screen. The built-in navigation is based on Google Maps to get you from A to B without detours. 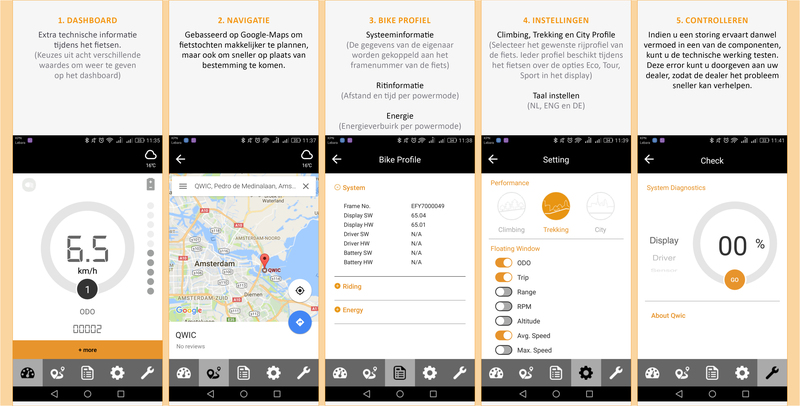 The app also displays all system and riding information as well as energy consumption in the different support modes. Depending on the environment, select your desired riding profile: Climbing, Trekking or City. 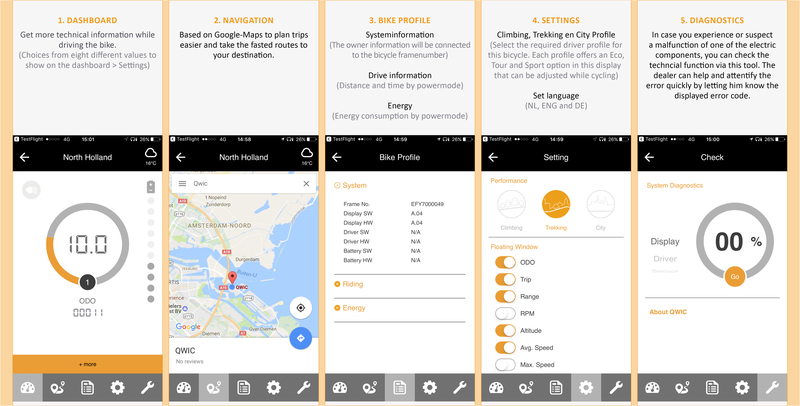 The QWIC app only works with e-bikes equipped with QWIC Bluetooth: Performance MN380, Premium MN380, Premium MA8 Tour and Premium MN330 Tour. The smartphone connects to your electric bike via Bluetooth. It can also be attached to the steering wheel with a smartphone holder – so you can optimally use all functions of the app while cycling: for example, the integrated navigation-, personalization- and service-functions. Download a handy overview of app features for Android and iOS. Do you have any more questions? One of our specialist dealers in your area will be happy to advise you!